Rocks stained with guano from sea birds. Bat excrement may be referred to as guano. 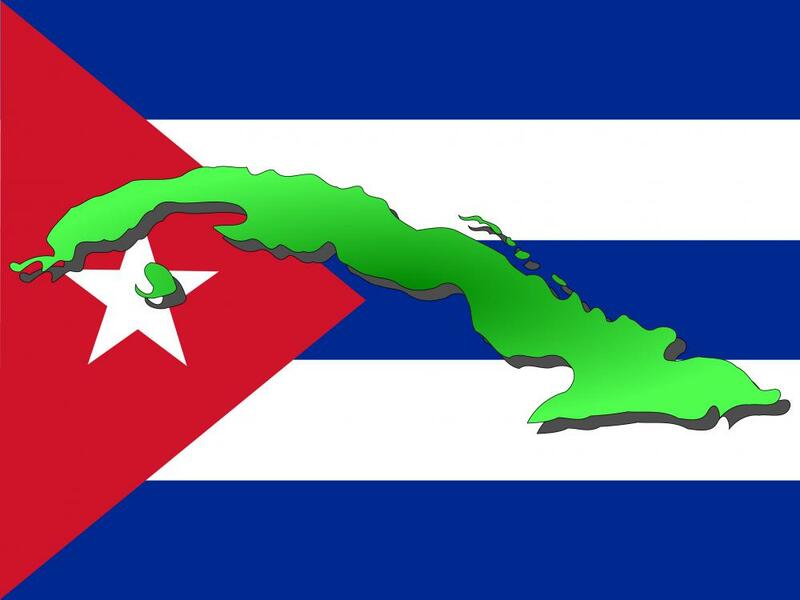 Bat guano also has a long agricultural and economic history in Cuba. 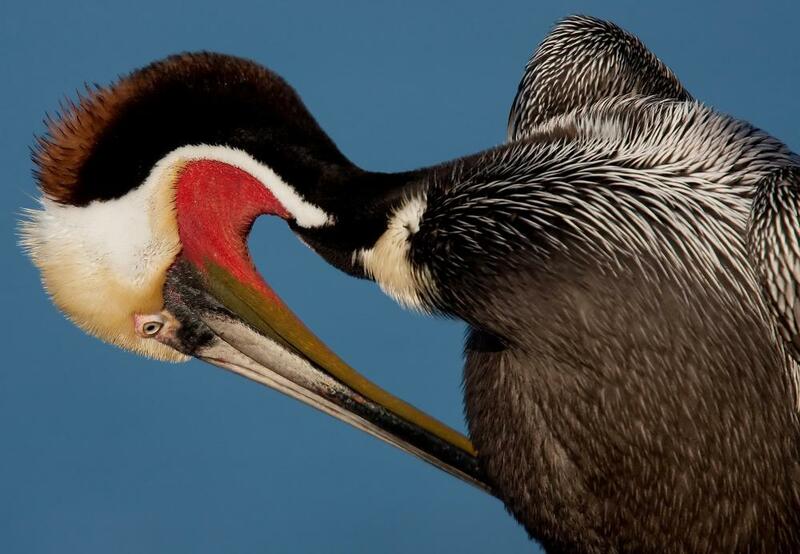 Pelican feces can be included as a type of guano, a fertilizer made from bird droppings. Any excrement from seabirds, seals or bats that has value to humans as fertilizer might be referred to as guano. 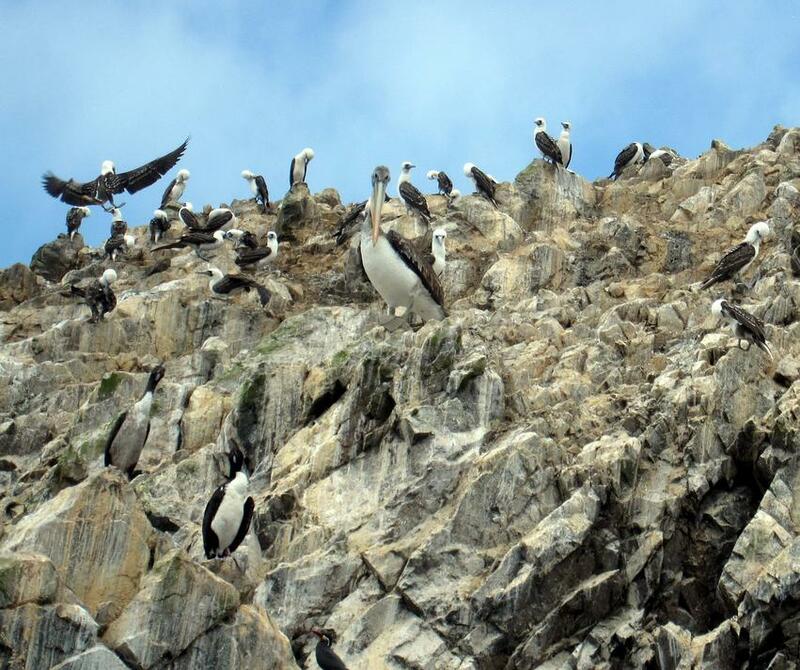 The term originated in Peru to differentiate useless bird feces from the nutrient-rich droppings of cormorants, pelicans and other sea birds. The word's usage has since been widened to include, especially, the mixture of remains and excrement of bats that collect on the floor of caves. Centuries ago, farmers in South America harvested the white piles of bird droppings from shorelines and islands to use as fertilizer on their crops. The export of guano to Europe became economically beneficial for the farmers. Bat guano also has a long agricultural and economic history in Cuba. In the 21st century, feces from bat caves in the United States, Asia, Cuba and South America is marketed as the some of the best organic fertilizer available. Bat guano is an ideal fertilizer because of its chemical make-up. Rich in nitrogen and phosphorous, it provides important chemicals for crops. It is harvested from deep inside caves, where it is protected from sunlight, rain and wind and doesn't break down as quickly as other organic matter does. When the droppings are exposed to water, the nitrates in them can be washed away, so being protected from rain helps maintain their usefulness. Guano also has beneficial fungi and bacteria that act as a natural fungicide to protect plants from disease. Although chemical fertilizers are more widely used by modern farmers, guano remains a key resource for organic farmers, especially those in the United States. Farmers can request a certain color, species of bat or place of origin in addition to requesting a certain chemical composition. Bat droppings are richer than seabird or seal feces, and they are more plentiful. They also are much richer in plant nutrients than the same amount of horse or cow manure is, and they do not have the same pungent odor. Some critics say that the harvesting of bat guano from caves has certain detrimental effects. The process, which is also called mining, disturbs the bats' habitat and can cause them to panic, which can result in the bats dropping their young, not eating or not getting enough rest. It has been blamed for bat populations decreasing in areas where guano is harvested. Removing bat feces from the caves also affects other animal species that rely on the droppings for nutrients. What are the Health Concerns of Bat Guano? I would say if your relative uses a charcoal respirator and lightly sprays the guano with water so that there is no dust when scooping it up, they should be fine. Is bat guano harmful to domestic pets? i'm from Malaysia and working as a part time guano organic fertilizer distributor. Guano that i sell is mixed with effective microorganism. Is it true that guano is hazardous to human life? Bat Guano or bat poo is used in manufacturing in most mascaras as well. so ladies what do you say we go botanical like Arbonne? let's all just say that this stuff can be highly deadly, but most things you use in farming are highly dangerous. about 30% of all injuries occur in some kind of farming or farm vehicle experiment. it's not that big of a surprise. bats eat poisonous bugs for goodness sake. My understanding of this fertilizer is ancient in origin and that the Natives of South America had the dung burnt in a special manner, a slow burning process. It was then used as a fertilizer. A program on this topic aired on Coast to Coast AM with George Nooray. I work at a hospital in Canada, and I have recently had a patient who developed farmers lung from inhalation of bat dung. Yes, it is very dangerous and yes, you should hire a professional to have it removed. This particular individual for whom I have cared for will be in the hospital for a long-term period, and if i were you I would not take the chance of cleaning it yourself, because it is not worth the risks associated with exposure to guano. Can guano be a health hazard? are there any chemical reactions regarding guano? hmm. i was watching a show on youtube, now it is one of those online websites that show minerals and other natural resources... now they were talking about animal by-products and its uses and they said bats by-products known as guano is also asbestos... is this true? I am removing bat guano from a barn for someone. He wants me to spread it in his garden. after reading your article i am not sure if I should. It has been there for a few years i'm sure. I have respirators and suits and gloves for protection. Please let me know if it is OK to put in the garden. Also if too much is bad for the garden. is it true that energy drink co. use guano in their products that we drink? Moderator's reply: i think you're referring to guarana, which is a fruit, not guano. check out our article, What is Guarana? for more information. Is there really any type of guano bowl? After guano has lain around for a couple of years, a fungus can grow in it, releasing spores into the air that cause histoplasmosis in humans. The east and central parts of the U.S. are especially susceptible to the fungus that causes this disease. many times be cured with anti-fungal medications, but the ocular disease has no cure. If bat guano is found in a home or other building, it is important to have it removed as soon as possible by a trained professional. A professional will search for any roosting bats that may be inside, then for any passageways that may be accessible to bats. Any points of entry have to be closed so that the bats do not reappear. 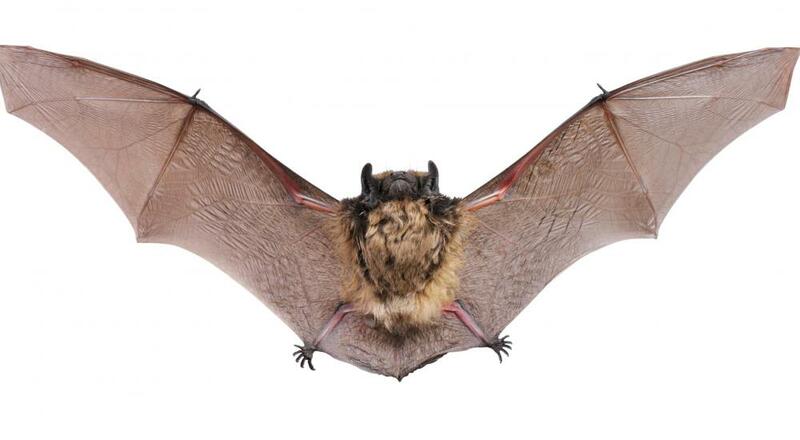 If bat guano has been found in the house, especially if it has been there for a few years, it is important to watch for any symptoms and to get medical attention if any lung or eye disease symptoms begin. Early treatment is extremely important in the ocular histoplasmosis, as laser treatments can stop the vision loss, though they can not restore any vision that has already been lost. I have suspicions that there are bats in the chimney in the home I am renting. The fireplace is gas and has not been used for years; glass-enclosed firepit, standard chimney. Concerned there is guano in the firepit. Very interested in comments/responses to the above story. Now, I am being told by the person from Wild Life Control whom I am paying $700 to bat proof the outside of my home (a way for them to get out and not return but only guaranteed for THREE years). "guano" is cancer causing and as dangerous as asbestos. Is this true? What danger is there in removing this guano, if any? Can this cause lung disease? Should I let the professionals remove it and not allow a family member to do this removal due to danger? I appreciate a reply.